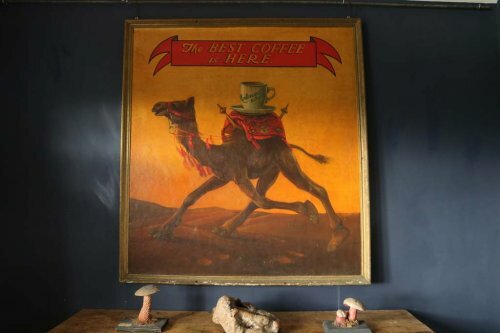 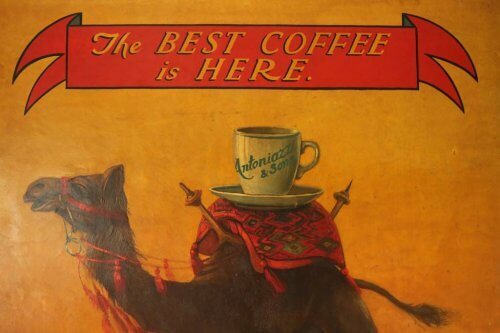 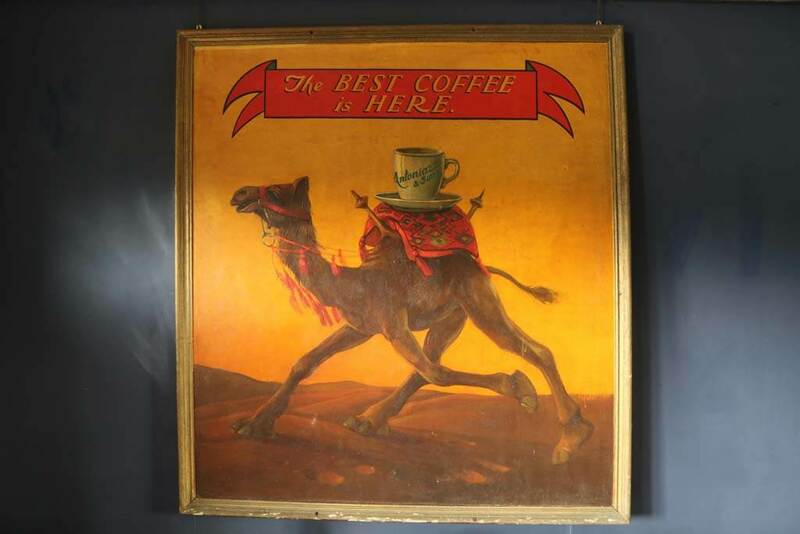 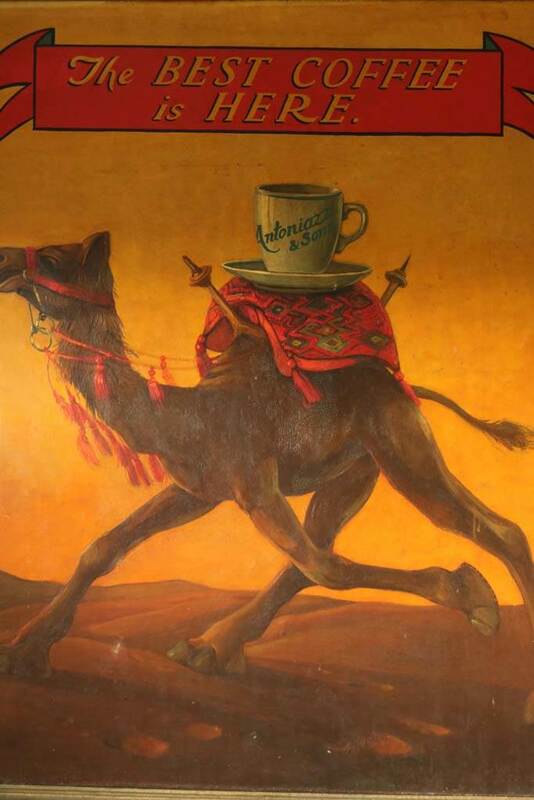 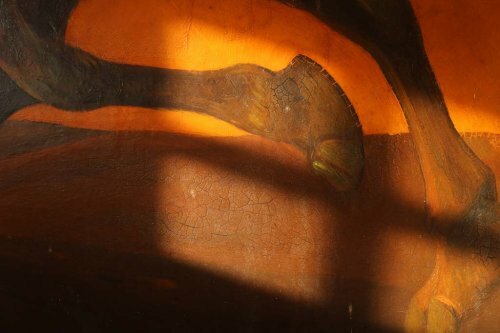 A Large Early 20Th Century Coffee Sign. 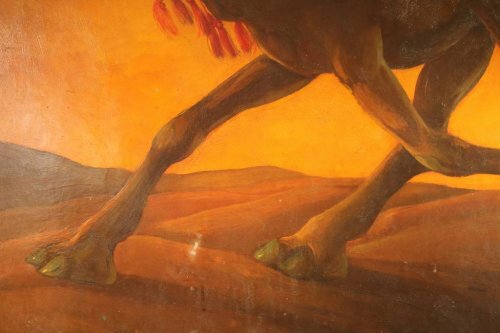 The most wonderful large hand painted adverting sign we have had the pleasure in owning ! 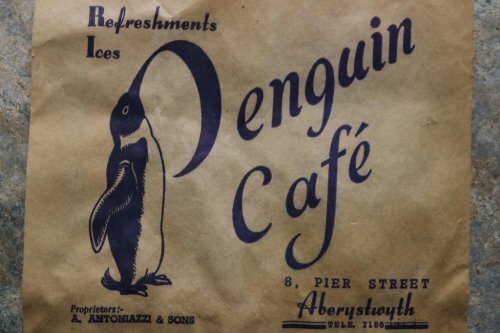 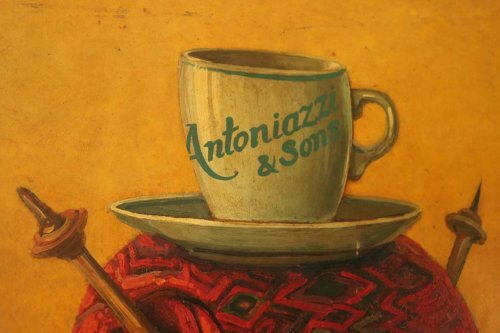 This sign originates from the Penguin Cafe in Aberystwyth Wales, Owned by The Antoniazzi Family who were one of the first Italian family to settle in Wales selling ice creams and coffee and confectioners. 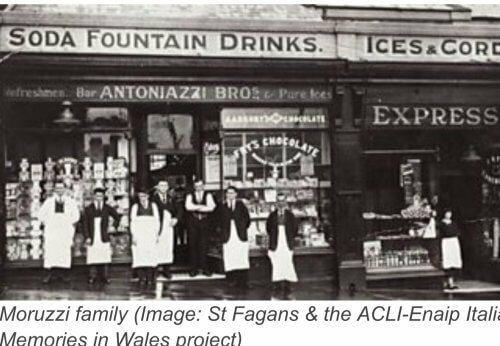 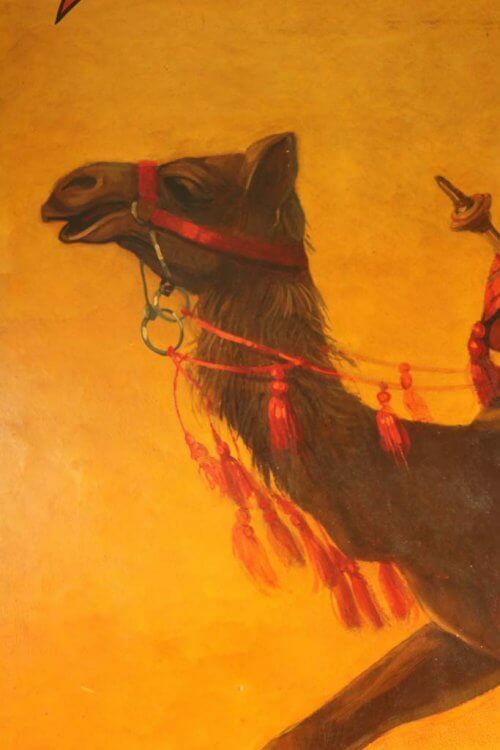 The exhibition describes the life stories of those who settled in mid Wales such as the Antoniazzi family who had come to Wales from the town of Bardi. They ran The Penguin Café in Aberystwyth, which was located at 8 Pier Street and 20 Terrace Road, and still trades to this day. By the 1950s, there were at least four principal ice cream sellers in the town – the Antoniazzi family of the Penguin café being one of them. 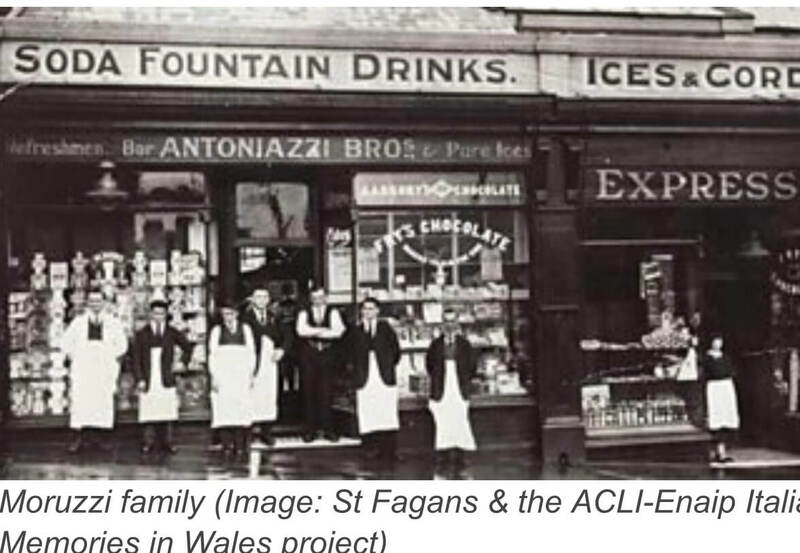 The café was so popular that it opened on a Sunday even though Sunday trading was illegal in Aberystwyth. 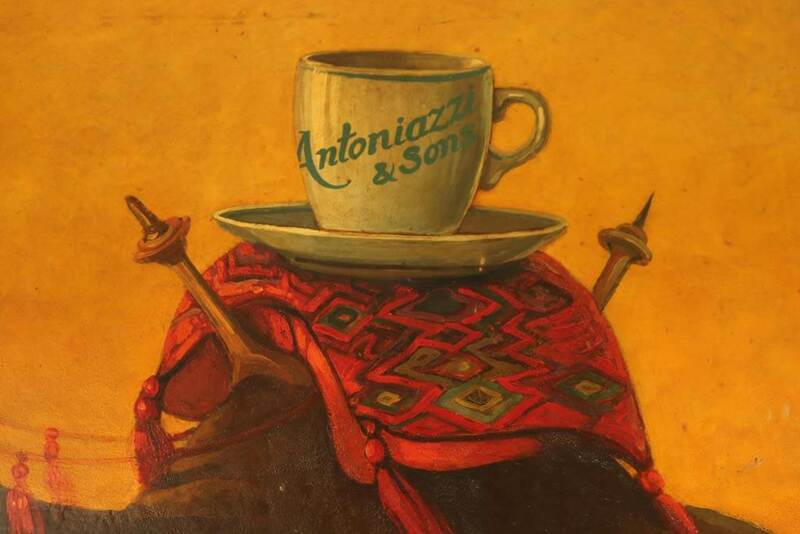 The Antoniazzis would rather pay the 7 shilling and 6 pence fine than close the cafe.